I want to start using LaTeX to organize my proofs into a readable fashion. This motif is due to my professors preferring e-mail communication instead of reading a chicken-scratch proof. I know enough LaTeX such that I can post on math.SE and make my question readable, but I do not know how to include LaTeX in a document. How do I make my proof into a LaTeX document? $ax^2+bx+c=0$ has 2 real roots if $D>0$. 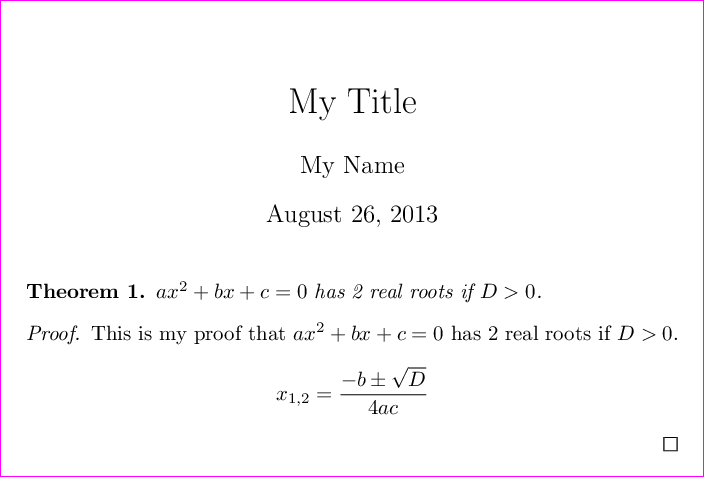 This is my proof that $ax^2+bx+c=0$ has 2 real roots if $D>0$. For more detailed at a glance tutorial, visit Theorem. Not the answer you're looking for? Browse other questions tagged math-mode amsthm learning or ask your own question. 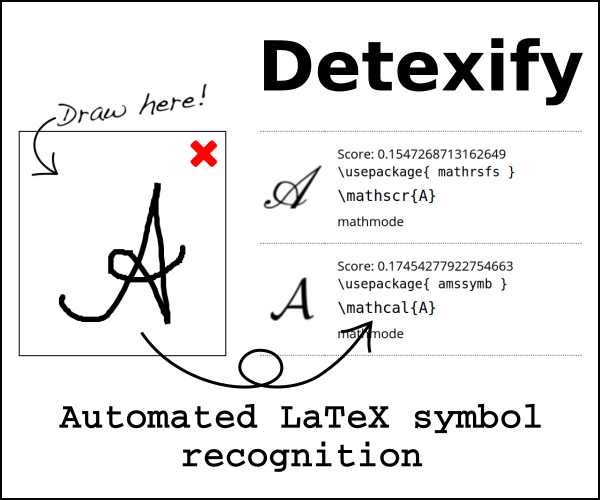 Best Way to Start Using LaTeX/TeX? How can I typeset LaTeX math proofs with long lines? Getting started with TeX LaTeX? How can I typeset this mathematical expression? How can I typeset those three mathematical symbols? How to typeset axiomatic logic proofs in list form?